At every stage of fetus development in a pregnancy, care needs to be taken to monitor the growth of the baby. The neural tube plays an important role in the development of the fetus. As the fetus develops, the upper part of the neural tube forms the brain and skull, while the lower part becomes the spinal cord and backbone. Possible birth defects related to the neural tube may form in the fetus during the first month of pregnancy. The two most common birth defects related to the neural tube include spina bifida and anencephaly. The fetal brain and spinal column are developed from the neural tube - anencephaly is caused by abnormalities in the neural tube. The brain and bones do not form properly as the neural tube fails to close during the initial weeks of fetal development. This allows the amniotic fluid to reach these undeveloped organs in the womb. This exposure to amniotic fluid causes the tissue of the developing nervous system to degenerate. The tissue breakdown of the fetus in this area causes the cerebrum and cerebellum to completely deteriorate. These essential parts of the brain are required for functions such as thinking, hearing, eye sight, experiencing and expressing emotion, and perambulation. Not only are these essential brain parts missing, the skull bones in the area are also ill-formed or missing altogether. The missing and deformed parts of the nervous system are required for basic survival. This is the reason why infants born with anencephaly may last just a few hours to a couple of days after birth. A large number of babies with anencephaly are stillborn. What Prenatal Tests Diagnose Anencephaly? Anencephaly can be identified in the womb using any one of these three tests. Prenatal testing may be required for women at risk. If detected early enough the attending health care professional may suggest a medical termination of pregnancy. As the name suggests, this blood test screens three items - estriol, human chorionic gonadotropin (hCG) and alpha-fetoprotien (AFP). High levels of AFP are tested for due to the association with a higher risk of neural tube defects. The amniotic fluid may be tested for AFP directly. If high levels of scetylcholinesterase are seen in conjunction with high levels of AFP it may indicate anencephaly. Amniotic fluid may also need to be tested for chromosomal abnormalities should there be high AFP levels. Most development of the neural tube takes place in the first trimester of pregnancy. Prenatal ultrasound imaging in the second trimester of pregnancy can usually identify many kinds of neural tube defects. Even if the blood tests and screening have not been performed, anencephaly is usually identified by the regularly scheduled ultrasound conducted in the second trimester. 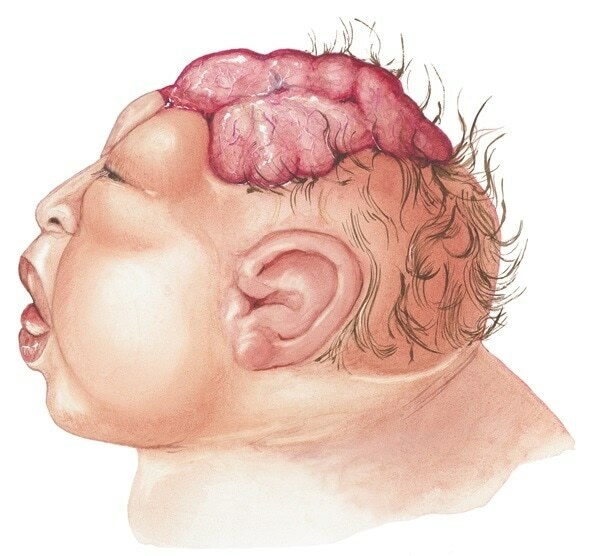 A simple visual examination is all that is needed to diagnose anencephaly. The health care professional may use certain additional tests to determine the severity and additional complications related to the birth defect. These may include X-rays, magnetic resonance imaging (MRI), or computed tomography (CT) scan. These tests will allow the attending physician to check for spinal defects, excess fluid, as well as check the infants’ motor and sensory functioning. Currently there is no cure for most neural tube defects. The tests just allow the researchers to gain more knowledge about the development of the fetus. For some minor neural tube defects, although there may be nerve damage and some loss of function, the baby may live. Further damage may be prevented by a variety of treatments. Unfortunately, in case of anencephaly, where crucial parts of the brain are missing, there is no way to save the infant from an early death. The exact cause of anencephaly is not yet known. In some cases it may be because of environmental reasons while in others it may be genetic. Researchers are still studying the condition to ascertain the exact cause. 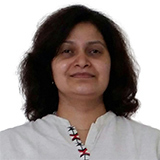 They have managed to isolate some risk factors which pregnant women should pay attention to. Adequate folic acid before and during pregnancy lowers the risk of developing neural tube defects. Fetuses of obese women, those with poorly managed diabetes and those on antiseizure medication are also at risk. These factors need to be managed to ensure that the pregnancy is unaffected. Unfortunately, neural tube defects occur in the first trimester of pregnancy, and very often the woman isn’t even aware of her own pregnancy. This is why a number of fetus development complications may arise.